This gorgeous game, Oceanhorn: Monster of Uncharted Seas which also happens to resemble another very famous and critically acclaimed game, is making it’s way off of the mobile platforms of the world and into the PC realm at last. Cornfox & Bros has announcned that Oceanhorn: Monsters of Uncharted Seas is going to be available on Steam starting March 17th 2015. This won’t simply be a poorly designed port, either. In an attempt to appease the very persnickety PC video game crowd, they’re going to completely remaster their beautiful game so to take advantage of the more powerful platform. 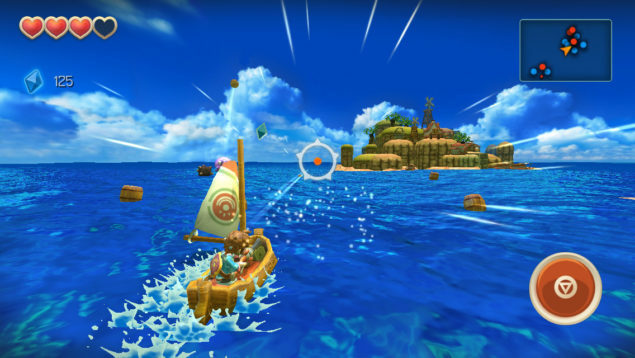 They also plan to make Oceanhorn: Monster of Uncharted Seas able to be controlled by either a gamepad or the traditional mouse and keyboard, giving you choices when wanting to play this beautiful game. And indeed it does seem to look just a wee bit, and even seem to play like, that most famous of Zelda titles. The art style, isometric world and the overall story and aesthetic mirror the classic Zelda game as much as they can while still maintaining its own identity. The story, of course, surrounds a young man who is on a journey to become a man through trials and tribulation. A classic story, to be sure. Some of the major flaws that have been noted about Oceanhorn surround the control system itself. The game is allegedly fascinating and deep enough to keep you captivated and also satisfying to play. If not for the controls. On the PC, this should be less of a problem as any number of methods can be used and the frustration of using your fingers to control a more complex game is effectively resolved. While it may not be Zelda for PC, Oceanhorn should certainly satiate the desire of anyone who enjoys the adventuring gameplay of the Zelda series.